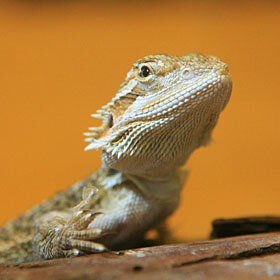 EXOTIC SURPRISES » A bearded dragon was among several illegal animals seized in Hilo. Also seized were two emperor scorpions, a 22-inch albino corn snake and a 19-inch green iguana. A lackluster campaign is blamed for what could be the worst turnout in isle history. Ron Lemay had just moved there from the mainland in March. Workers try to smother the pest around Kauai. A box with five illegal animals is anonymously surrendered in Hilo. Hawaii has the confidence that comes with trotting out the hottest offense in the country. Hawaii will treat its exhibition with Hilo as the real thing. Median sales prices have fallen significantly on the Garden Isle. The company incurs costs related to its new packing plant. A City Council committee has endorsed a rail system as the method of mass transit on Oahu. The state school board has hesitated in releasing information about the firing of the charter schools administrator.